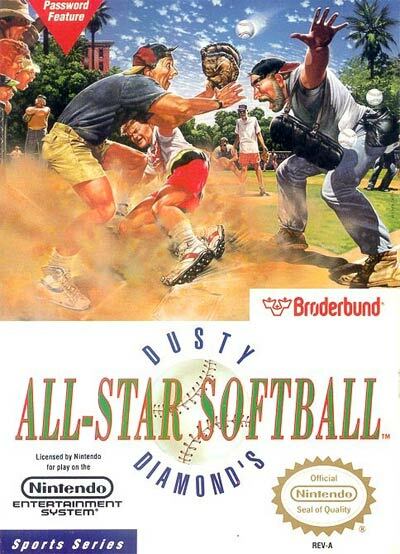 Dusty Diamond's All-Star Softball is a one- or two-player NES game where players can pick and choose various fictional softball players and customize their own team to take to the championship. The player can even pick a letter out of the alphabet to customize his team name with. In the original Japanese version, however, monsters like Draculas, mummies, ghosts and other fantasy creatures could be selected. Once that is done, the player then selects a field (with each one of them having its own special house rules).